Jackie Kennedy led a multi-faceted life of power and influence, but when it came to writing about her, screenwriter and journalist Noah Oppenheim came to feel there was one story that spoke to her psyche in the most compelling way – the very brief but remarkably consequential days that the First Lady spent nearly alone in the White House following her husband’s death. Noah Oppenheim began his career in news. In addition to writing screenplays, he is currently Senior Vice President of NBC News and Executive-in-Charge of the “Today” show. He oversees all aspects of the morning show franchise – both broadcast and digital. He co-wrote THE MAZE RUNNER, a franchise that has grossed $600+ million to date. 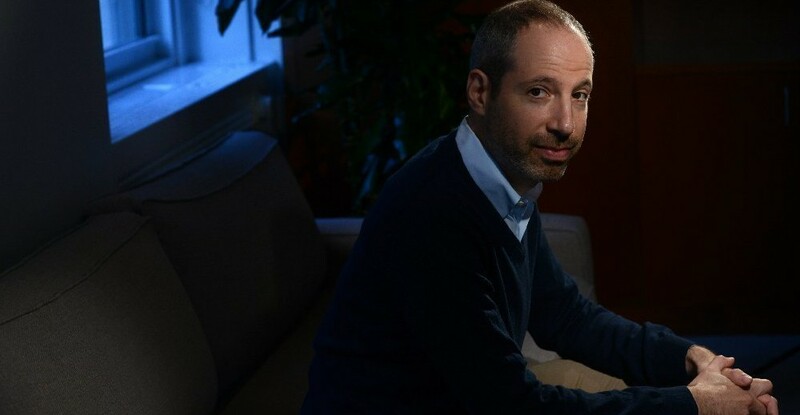 An Emmy winner, he co-created “Mad Money with Jim Cramer,” covered three presidential elections, and has reported from Iraq, Israel, Gaza, the West Bank and Libya. He is co-author of two New York Times bestsellers – The Intellectual Devotional and The Intellectual Devotional: American History. His essays have appeared in the Wall Street Journal, Esquire and Men’s Health. 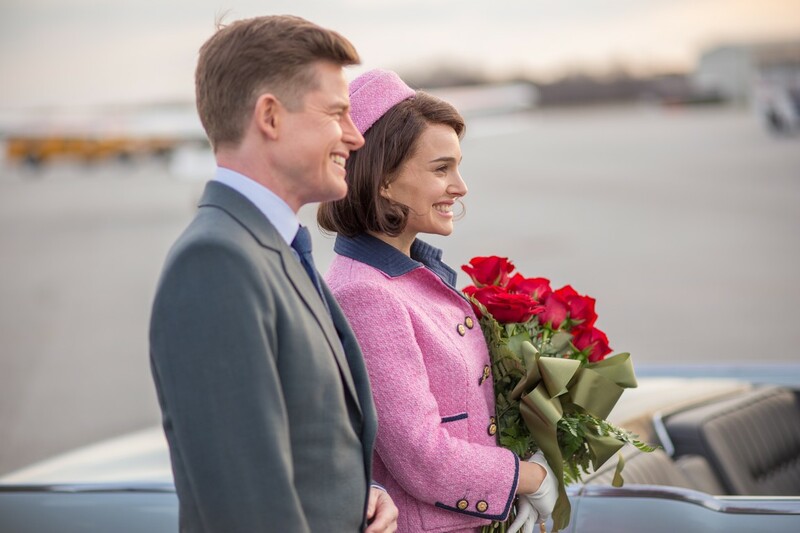 JACKIE takes audiences on a personal journey into one of the most extraordinary events of American history – and also into a deeply stirring drama that illuminates in fascinating new ways the woman, the times and the ways we cope with and tell the stories of the most intensely public of tragedies. At the start of November 22nd, 1963, Jacqueline Kennedy was among the most famed, admired and envied figures in the world. As the elegant, stylish and alluring wife of the youngest-ever elected President of the United States, she was also the first First Lady of the televised age… photogenic, captivating and yet barely-known beneath her near-mythical image of grace, youth and idealism. Yet, within hours, Jackie’s world, along with the faith of the nation, would be shaken from their foundations when John F. Kennedy was struck down by assassin’s bullets while riding at Jackie’s side in a motorcade parade through Dallas. In a moment rife with confusion and shock, the world witnessed the First Lady’s composed grief in images that remain as poignant and mesmerizing as ever. But what no one saw is what went on behind closed doors in Jackie’s private, tightly-contained world. Suddenly alone, save for her family, confidante and priest, the First Lady faced a remarkable series of challenges as a wife, a mother and a reluctant part of the political machine: consoling her young children, planning her husband’s funeral, preparing for the next President to rapidly move into the White House and most remarkably, fighting to maintain control over how history would forever define her husband’s legacy. In a period of just a week, this fiercely private woman had to face unthinkable personal loss, hard political realities, a nation in the throes of a collective trauma and — amid all the uncertainty, Washington machinery and public scrutiny — the responsibility of keeping alive all that her husband wanted to stand for in America. Though today he is among the most beloved of U.S. Presidents, JFK’s legacy was hardly assured upon his death. He had spent just 2 years and 9 months in office, and the fear among those closest to him was that all he aimed for would be forgotten because the potential had gone unfulfilled. In the midst of her own anguish, Jackie steeled herself with a single-minded mission: to tell her husband’s story in a way that it would always be remembered, as brief but shining moment of American promise. That week was a period of time, felt Oppenheim, that defined not only the icon Jackie would become but the beginnings of our image-saturated culture in ways that haven’t really been explored. 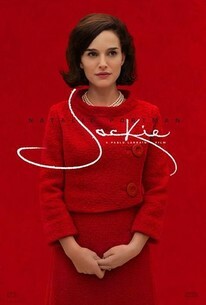 “Like so many women in history, Jackie has never really gotten her proper due. She’s been portrayed mainly for her style and elegance, but she deserves more credit for her exceptional understanding of image, public relations and really creating the idea of Camelot after JFK’s death,” says Oppenheim. Oppenheim cut his teeth in the world of news and politics, serving as Senior Vice President of NBC News — where he often talked about Kennedy’s impact with fellow journalist and Kennedy biographer Chris Matthews — and a senior producer of the “Today Show.” He’s also the co-author of the bestseller The Intellectual Devotional: American History, a compendium of wisdom from American historical figures. Naturally, he dove with relish into the research, poring through the endless archives amassed about the Kennedy family and the short-lived but endlessly influential administration. But research could only take him so far in his efforts to recreate the voice, personality and often-obscured emotions of Jackie. As he researched and wrote, Oppenheim felt very strongly that he was writing a story not of the past, but one that resonates fully with today’s world — a story about a woman who in many ways was the first in Presidential history to forge the idea of leaving behind a visual legacy that lives forever. Larraín gives a boldly unconventional spin to the biopic genre, mixing historical footage with complete fictional re-creations, and excavating just one critical moment in Jackie’s life, but in all its intricately woven layers. Meanwhile, Portman explores the haunting territory of a woman juggling her incomprehensibly vast yet contained sorrow with a world watching, remembering and making meaning out of her every move. 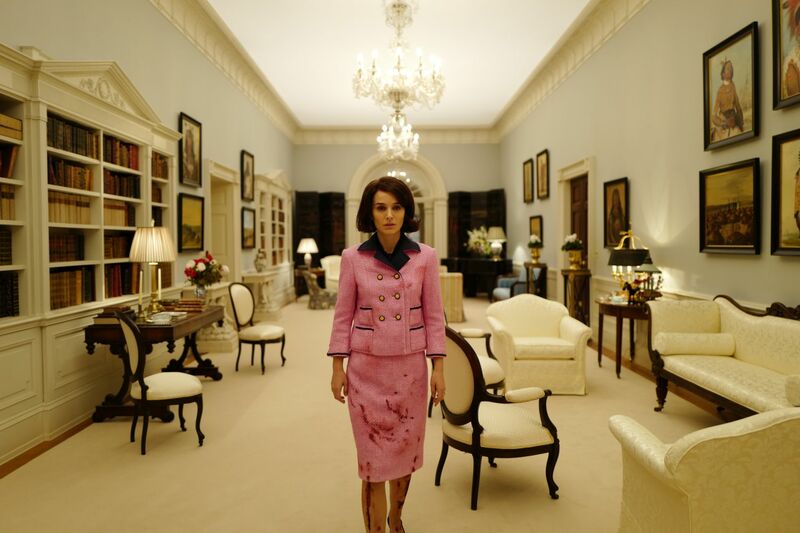 The result is an intimate portrait, yet one of epic themes, that provides a portrait of Jackie as we’ve not seen her: a deeply human, vulnerable woman confronted at once with the power of loss, love, self-preservation, public consciousness and history. 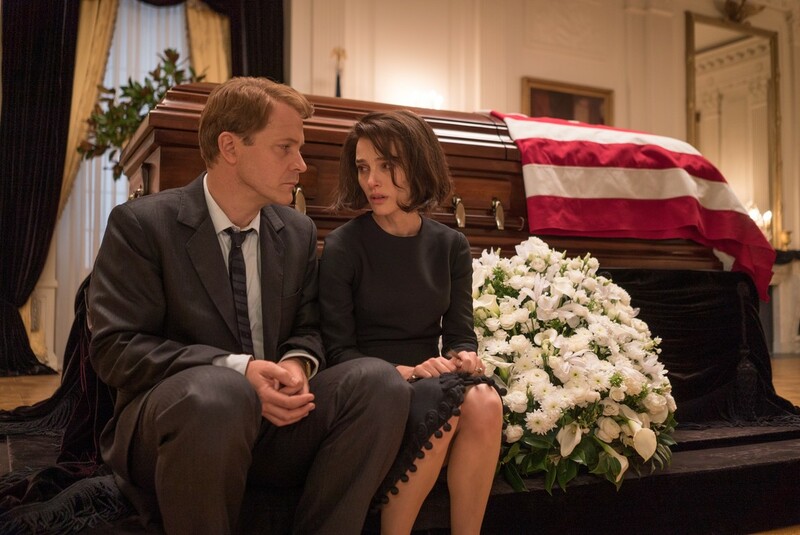 Natalie Portman knew this role would be her greatest challenge — and a heavy responsibility given the realities of Kennedy’s life and place in history. But Portman had instant faith in the script. She was attracted to the idea that what was going on inside Jackie was so much more than was ever seen in the public eye; that she was a woman whose profound understanding of what lasts and what matters most anchored her in solid steel when she would have been forgiven for falling to pieces.